Surveillance video can be the key to cracking a police investigation. "We are missing two trucks, two trailers and four riding lawn mowers along with lawn mowing equipment," Police Chief Raul Gonzalez, La Joya Independent School District, said. In total, more than $50,000 in school district property was stolen. It happened April 7th at a location where campus maintenance equipment is kept. The suspects broke a lock to get inside but what was captured on surveillance video surprised police. "It's what made us realized these suspects were not amateurs," Chief Gonzalez said. "They had to have knowledge of how to steal them." Newer models of trucks are built with anti-theft devices that make them nearly impossible to steal. 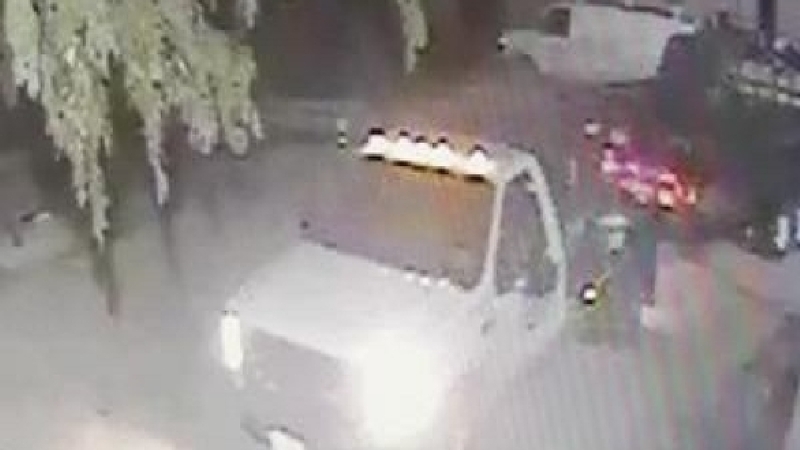 But the trailers the thieves wanted were attached to two 2012 trucks. So the suspects removed the trailers from those trucks then attached them to two older model trucks to make a get-away. But surveillance video captured by the school district is not enough to catch the thieves. "We started gathering other video from different stores and we were able to determine the suspect vehicle is a 2007 black Expedition," Chief Gonzalez said. A break-through in the case. The Expedition can be seen passing the gas station on the way to steal the trucks. Then the Expedition and the two stolen trucks and trailers are seen a second time passing the same gas station about 30 minutes later. The stolen trucks were found days later abandoned. One in McAllen, the other in Mercedes. "They were not interested in the trucks at all," Chief Gonzalez said. "They were interested in the trailers and the riding lawn mowers." Now police believe the stolen lawn mowers may have been sold on the streets. They are hoping the surveillance video will be the key to cracking this case. If you have any information call La Joya ISD campus crime stoppers at (956) 580-5425.